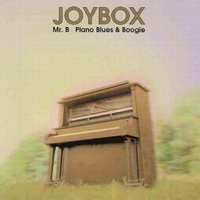 High powered New Orleans boogie woogie piano and drums duo, featuring Mr. B, a.k.a. 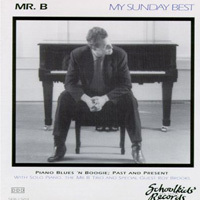 Mark Lincoln Braun – piano and vocals, drenched in the blues tradition, highlighted by tasty drummer Pete Siers as they lavish in mature traditional Blues. This is a solo date and the first since B’s BOUNCE in 1984. 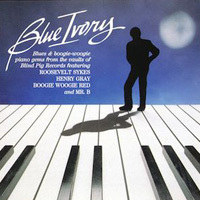 This set features many of the great standards of the blues and boogie school recorded in front of an audience on a beautiful Steinway model C at the Kerrytown Concert House in Ann Arbor. 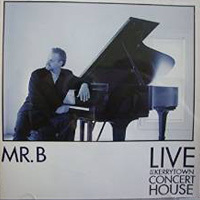 The Concert House has featured dozens of luminaries from the world of jazz piano, and this recording documents a highlight in their series. 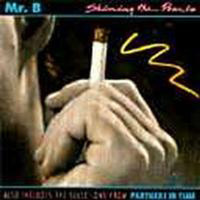 Mr. B returns to his roots for straight ahead blues and boogie piano playing at its finest. 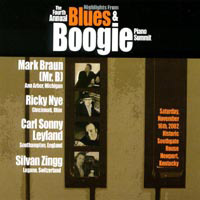 A compilation of material by 4 blues & boogie pianists, Mark Braun [Mr.B] – Ann Arbor, MI., Ricky Nye – Cincinnati, OH., Carl Sonny Leyland – Southampton, England, and Silvan Zingg – Lugano, Switzerland. 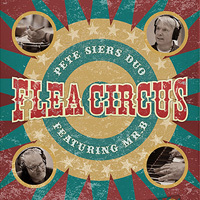 This Album is an impressive collection work from this extraordinary group of musicians preformed at the Historic Southgate House of Newport, Kentucky. This is another trio date with Kurt Krahnke (bass) and Andy Conlin (drums). Also featured prominently is the legendary drummer, Roy Brooks. “The changes in direction serve to literally amaze the listener, taking them through a range of moods and colors that are generally not experienced in such a setting. Truly, in Braun’s hands, musical genres are bent into a pervasive whole, with no regard for anything but the purity of intention and the transference of joyous emotion…this is musical empathy at its best. This is not just a case of a local boy making good, this is a statement of a world class musician playing for his hometown fans.” Detroit Metro Times Magazine. Recorded live. 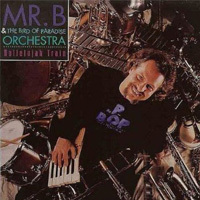 Mr. B meets the Bird of Paradise Orchestra. This was an exhilarating and challenging collaboration, a mix of original and standard compositions all presented in unique arrangements for a 16 piece band. “From the opening ‘Hallelujah Train’ to the practically unbelievable 10 minutes of sheer energy in the finale, ‘B’s Boogie Woogie,’ this album kicks out all the stops.” – Louisiana Country Magazine. Recorded live.